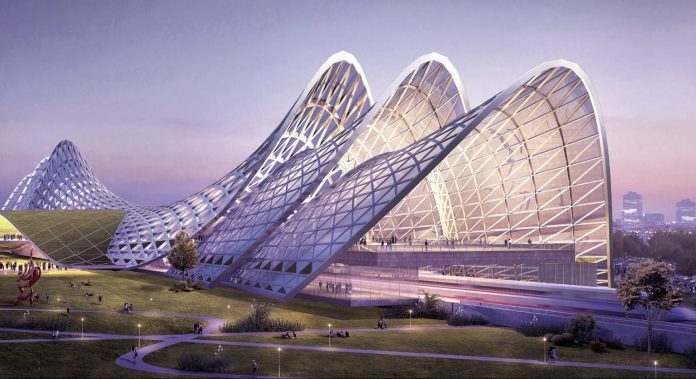 Malaysia’s new prime minister has said that a “final decision” has been made to scrap the multi-billion dollar Kuala Lumpur–Singapore high-speed railway. Speaking at a media briefing at the weekend, 92-year-old Mahathir Mohamad, who took up the post earlier this month, said that the 350km line is “not beneficial” and will cost “a huge sum of money”, adding that Malaysia “will make no money at all from” it. Mohamad said that the process to cancel the project will take some time because of Malaysia’s agreement with Singapore. The two nations committed to building the high-speed line in July, 2016, with the signing of a memorandum of understanding, witnessed by former Malaysian prime minister Najib Razak, who lost out in the recent election, as well as Singapore prime minister Lee Hsien Loong. A legally-binding bilateral agreement followed later that year but breaking from it could cost Malaysia up to 500 million Malaysian Ringgit ($125.5 million) in a penalty payment, Mohamad added. On May 12, the Malaysian government’s delivery vehicle for the high-speed project, MyHSR, released a statement congratulating Mahathir Mohamad on being sworn in as the country’s seventh prime minister. The statement came a month after it selected two consortia to assist with the project’s civils works. Previous agreements had been made for SG HSR, a wholly-owned subsidiary of the Land Transport Authority of Singapore, to build the stretch in Singapore. Neither organisation had released a statement following Mohamad’s announcement by the time of publication. 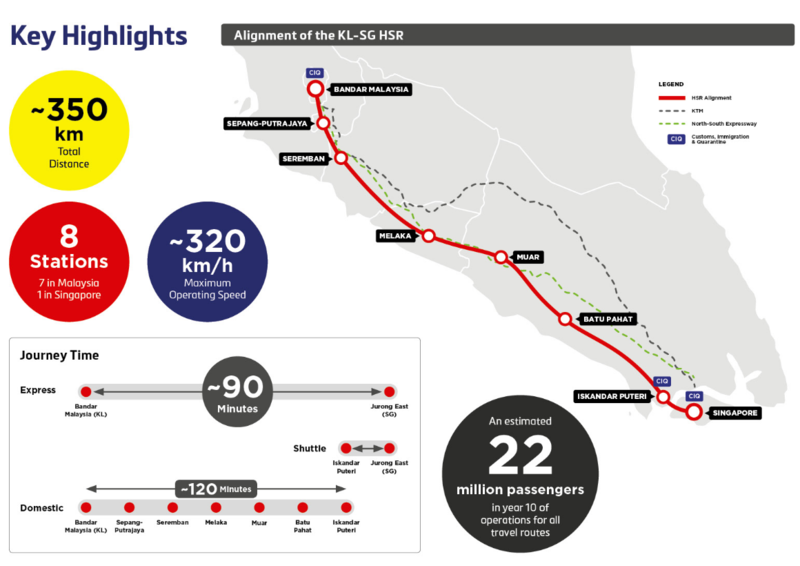 The planned double-track link between the Malaysian capital city of Kuala Lumpur and Singapore was set to connect the two in 90 minutes with seven stations in Malaysia and one in Singapore. Construction was due to start in 2018. An express service on the line was estimated to be launched by the end of 2026. A very short sighted decision.